Another exuberant, deftly rendered very early postcard by Paul Gerhardt, chief lithographer at the Ravi Varma Press in Bombay. 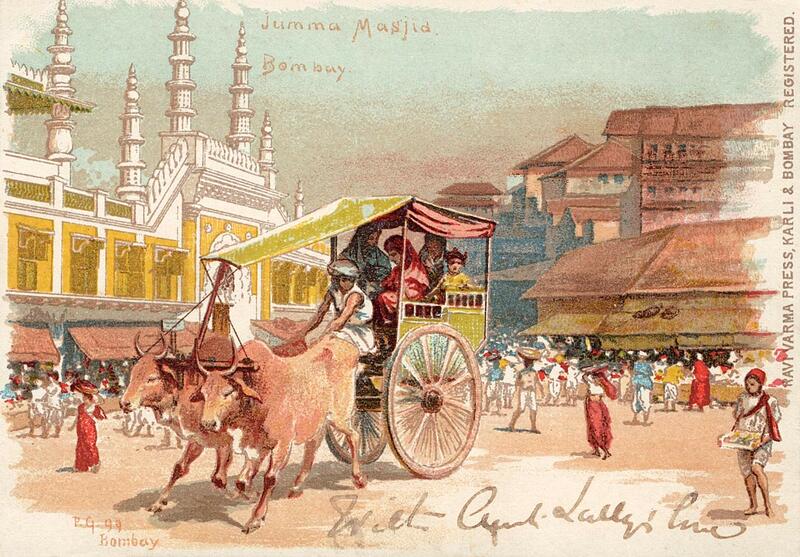 Note the simply drawn mosque minarets, the colors that pull you in while the cart pushes out into the foreground space. The handwritten text seems to say "With greet [ings]. Lally's line [? ].